The safety harness latch attaches to the seat belt safety system of your car and protects your dog against injuries in an accident or in sudden breaking of the car. Made of soft durable nylon material. With padded chest strap that is for comfort. 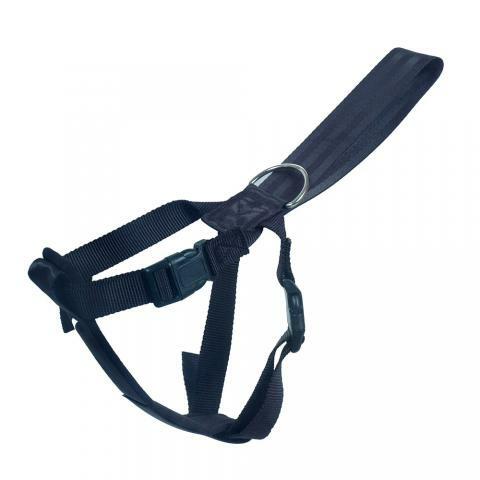 Can used as a regular harness for your dog. The adjustable strap can use as short lead.